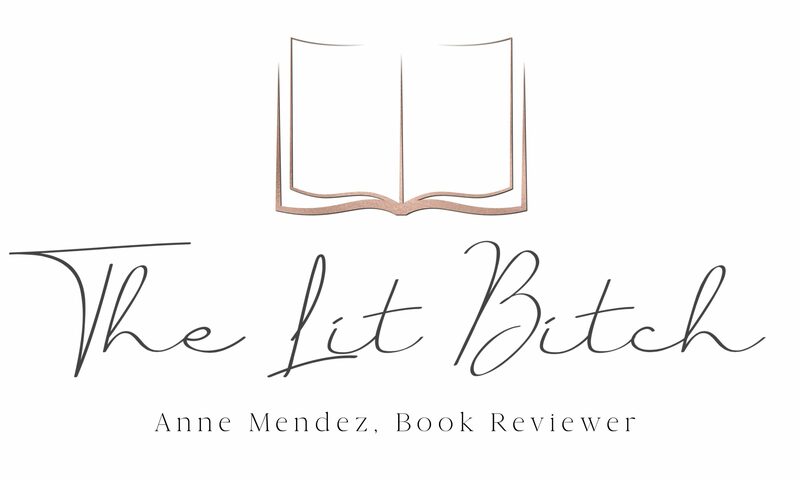 I am JUST NOW getting around to blogging about the last book in the Outlander series, An Echo in the Bone by Diana Gabaldon. I completed the book on the way back from Aruba….surprisingly, I didn’t read much while I was on vacation. I was SURE that I would finish at least two books while there….I was lucky to finish the one we were so busy! Then when we came back from vacation I was busy blogging about our trip so it’s taken me a few days to muster the energy to blog about AEITB :). But at any rate here you have it….I have finished the last book in the series and the Outlander Reading Challenge that I have been hosting. When I started the Outlander Reading Challenge, I was sure it would take me the better part of a year to finish the series and then as I got into it I know that would not be the case….I KNEW I would finish them in relatively rapid succession. Though after the first four books I felt like I needed a mental break from the emotional roller-coaster I couldn’t WAIT to know what happened next so I just pushed through the emotions and kept reading. I am so glad I did because the books just kept getting better and better but then again I was sad that I read them all back to back because now I have nothing to look forward to…..except the next book which I hear won’t be out until 2012 or 2013…..I don’t know what I am going to do between now and then. Again there was so much going on in this book as there was in the previous books. And honestly so much HAS gone on throughout all the series, it’s like I don’t even KNOW the characters from Book I and I don’t mean that in a bad way. Jamie, Claire, and their relationship has grown and changed so much it’s like I can’t even recall who that young, scared little virgin (Jamie) was from Book I….to me Jamie has changed the most throughout the series. Though he has always been a warrior/protector/fighter and strong willed I felt like he has grown the most and become less stubborn. He is still a warrior/protector/fighter but he seems more rational and gained more principals….and he seems to have grown more dependent on Claire the older he has gotten. Claire on the other hand, while she has always been independent and such, she seemed to need Jamie more in the earlier books….more than she does now, I feel like she has grown less dependent on Jamie the older she has gotten. Book VII picks up right there Book VI left off….Roger and Brianna have returned to the future with their two children and struggle to get on with their ‘normal’ lives after living in the past for so long. Roger and Breanna’s children (Jem and Mandy) are more or less adjusting to life back in their ‘time’ better than Roger and Brianna in some ways I think….though Jem not so much but he’s getting there. Mandy seems to have some weird tie to the stones and Jem which we find out through her dreams about Jem going back through the stones. Jamie and Claire are forever throwing themselves in the middle of some battle (inadvertently I am sure LOL)…..Claire seems to never be short of ‘business’….someone is constantly in need of medical care (ie; penicillin or surgery) or having a baby….if she’s not handling day-to-day clinical issues then she’s on the battle field fighting infections or amputation something. Jamie is never far from a fight or controversy……of course there’s the ever present ‘mmmmphhhh’ that happens between our two favorite lovers. In this book, Jamie and Claire or smack in the middle of the American Revolution….they are just trying to make it to Scotland and retrieve Jamie’s printing-press when they get way-layed by the war. We see more of Lord John in this book than in some of the previous novels which was nice . Lord John still suffers from his unrequited man love for Jamie but throughout his suffering he finds solace in his foster son–who is really Jamie’s illegitimate son, William. Ian is the black hole of sadness…his suffering is epic, throughout all the books just when I think YEAH finally happiness for Ian….it is gone. Though I am hoping my wish will come true in the next book as it seems like Ian will finally find the peace and happiness he desires :). We met some new (and old) characters in this book….a new one being Rob Cameron who is a creepy git of the first order! Then we have the ruthless, smarmy, and untrustworthy William Buccleigh who is trapped in the FUTURE rather than the past like Roger and Brianna…..though he’s a little….hummmm, odd I can’t help but find him slightly comical and the reaction Roger and Brianna have to him is pretty humorous as well :). Lots of things seem to come full circle in this book from previous books, but Gabaldon leaves the doors open for many new developments in future installments. Diana Gabaldon’s brilliant storytelling has captivated millions of readers in her bestselling and award-winning Outlander saga. Now, in An Echo in the Bone , the enormously anticipated seventh volume, Gabaldon continues the extraordinary story of the eighteenth-century Scotsman Jamie Fraser and his twentieth-century time-traveling wife, Claire Randall. Jamie Fraser, former Jacobite and reluctant rebel, is already certain of three things about the American rebellion: The Americans will win, fighting on the side of victory is no guarantee of survival, and he’d rather die than have to face his illegitimate son–a young lieutenant in the British army–across the barrel of a gun. Claire Randall knows that the Americans will win, too, but not what the ultimate price may be. That price won’t include Jamie’s life or his happiness, though–not if she has anything to say about it. Meanwhile, in the relative safety of the twentieth century, Jamie and Claire’s daughter, Brianna, and her husband, Roger MacKenzie, have resettled in a historic Scottish home where, across a chasm of two centuries, the unfolding drama of Brianna’s parents’ story comes to life through Claire’s letters. The fragile pages reveal Claire’s love for battle-scarred Jamie Fraser and their flight from North Carolina to the high seas, where they encounter privateers and ocean battles–as Brianna and Roger search for clues not only to Claire’s fate but to their own. Because the future of the MacKenzie family in the Highlands is mysteriously, irrevocably, and intimately entwined with life and death in war-torn colonial America. With stunning cameos of historical characters from Benedict Arnold to Benjamin Franklin, An Echo in the Bone is a soaring masterpiece of imagination, insight, character, and adventure–a novel that echoes in the mind long after the last page is turned. Besides Jamie and Claire, I liked how many of the other characters have evolved from earlier books some of the more interesting to watch have been Ian and Rodger. Rodger was a young child in the first book so of course he’s changed dramatically, but still even from Book II where we first start to really get to know him…he’s no longer the same ‘innocent’ lad he was in Book II. In Book II he was all into singing and the Highland games, he didn’t really have ‘direction’ though he was a teacher at Oxford he just didn’t really know what he was going to be when he grew up it seemed like and….he was clearly infatuated with Brianna. Throughout the series he has changed so much and though he is still all these things, he has a much different perspective….one that comes with age and experience. He still doesn’t really seem to know what he is going to be when he grows up but he seems to have more or less found his calling but it’s just a matter of recognizing it completely. One thing I am sad about is the relationship between Brianna and Roger and how that has changed. I still feel like he’s infatuated with her and he loves her undoubtedly but from time to time I find myself questioning her love for him. I feel like she guards her feelings and never really reveals how she feels about Roger. I felt this acutely when she didn’t see Rob Cameron’s advances for what they were….even William Buccleigh could see Rob Cameron had the hots for her and she never really said anything to Roger about it….the not telling him came off as distrustful to me, though I can’t really put my finger on why. Part of my just feels like she doesn’t care the same as Roger does…..I feel like though their relationship has changed and they are both different people now than in the first books, it feels like Roger has grown with the relationship but Brianna hasn’t. Just my perspective I suppose but their relationship from time to time seems unbalanced….it doesn’t mesh as well as the relationship between Jamie and Claire for me…..it just feels different. In this book we also get a new perspective of Ian’s character. Though we know he has been married before, I don’t know that we ever really see how much this has effected him….the same with all of his other experiences….the murders, the wars, the loss of identity and loved ones…loss of family. I feel like poor Ian is constantly displaced and tormented and I just want him to be happy already!! 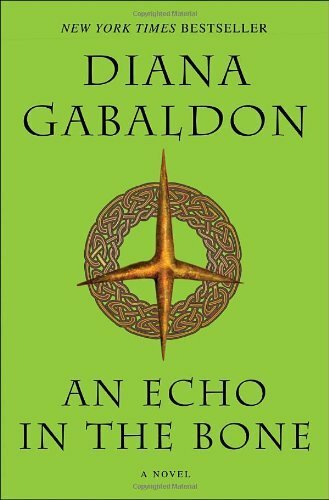 In this book we really seem to see how his life and life decisions have effected him…I especially love how Gabaldon makes a special point to explain how ‘one can never go home again’. I think it’s important to remember how much has changed and taken place in the previous books….so much has taken place in North Carolina that I had almost forgot what was happening back in Scotland! For me Ian’s homecoming was necessary and also bitter sweet. Of course the death of ‘Young’ Ian’s father–Ian–made me cry (SO sad), I felt like it was a turning point for ‘Young’ Ian to….Ian just seemed so tormented by all his choices and I think being able to come home and ask his father’s forgiveness, make amends with his family, and have his mother and father recognize him for a man was critical in his over all development. I have always seen Ian as this little fifteen year old wild child who lives recklessly and is so much like Jamie….obviously the relationship between Jamie and Ian mirrors the relationship between Jamie in Dougal (minus the murder part). Until this book in some ways I felt like Ian was there simply as a means for Jamie to find redemption after murdering Dougal but now I can see Ian is that but he is also the son Jamie never had and Ian is his own unique character. Had Ian not returned to Scotland and made peace with his father and have both parents wish him to find love and happiness with a wife I don’t know that he would ever have moved on or truly turned over his heart to Rachel. With his first wife (though we don’t know much of their relationship) Ian admits he held back a piece of himself and never gave his heart to her….much like Claire and Frank……but now that he has his parent’s ‘blessing’ he can now move on and love Rachel fully…more like Claire and Jamie do. It was like all of a sudden Ian became a man and became a ‘real’ character to me perhaps the series’ most tragic character in some ways. Some people have said they feel like Frank is the ‘Byronic hero’ or tragic character of sorts…..for me that is not that case, Ian fits that role in my book :). It will be interesting to see how the relationship between Ian and Rachel turns out….I feel like the only woman Ian has ever truly loved was Brianna and of course he can’t have her so he let’s her go, but it seems like Rachel will become his pillar of strength and ultimately give him reason to live (or so we can only hope)….I think Ian has finally come to terms with his life now that he is able to share his life, future, and pain with someone rather than bear the burden alone. I love how Gabaldon looks back over the previous novels on the characters lives, choices, and experiences and finally reveals their significance….it’s really adds depth to the story and characters. I really felt like this novel recaptured some of the romantic mysticism and self reflection that I fell in love with in Book I….and frankly I felt like was missing at times in some of the other books. I also liked that Gabaldon didn’t make every one’s story a ‘happily ever after’, I felt like the choices and outcomes of the characters and their choices accurately reflected who those characters were in the beginning. For example, Laoghaire….when Jamie comes back to Lallybroch he feels the need to make amends with her and ask for her forgiveness. She is clearly still angry and resentful with him. She has become this older, bitter woman who has never really known love except for her kids. She hates that Jamie never loved her the way he loved Claire, and she hates Claire for coming back and stealing away her last chance at happiness so to speak. I love that even though Laoghaire listens to Jamie’s apology and reason (kind of) and shares her own perspective of their relationship (in her own way)….it doesn’t change that she is a woman forever scorned by his lack of love for her. If she would have been like ‘oh sure I forgive you, no harm no foul’ it would have not been believable…..and had she remarried some man she was desperately in love with rather than a man who ‘needed her’ then it would have been off for me. I love how Gabaldon made sure her characters were true to form and Laoghaire will always be the woman scorned or wronged. This quote is full of symbolism and can be applied to many situations in this novel…..one that comes to mind is the amputation of Jamie’s finger. I felt like the loss of this finger was a letting go of his past….a way to rid himself of the memories of Jack Randal which plague him through most of the series. I thought this was an important thing for Jamie to go through….I think it was a moment of acceptance and a moving on that needed to happen. I think from now on, though he will never forget what happened I don’t know that it will effect him in the same way the memories have in the previous books. If you are looking for confirmation of this you just have to read the part where Jamie and Ian are talking about phantom pains in their lost limbs and Ian says that though he feels his leg from time to time he more or less has forgotten it existed…..so in other words the memory is there but there is also peace in acceptance and moving one. I still think Ian, Roger, and Brianna have some time before their own demons finally come full circle but at least Gabaldon has shown us that the path to peace is possible for them all through Jamie and Old Ian. ‘I feel maybe like you did,’ he whispered to her [Jamie]…’when ye came through the stones. Like the world is still there-but it’s no the world you left’. (664)…Home is where, when you have to go there they have to take you in (97)…If you ever find yourself in the midst of a paradox you can be sure you stand on the edge of truth (148)…..Begin at the beginning and go on till you come to the end: then stop. [original like is actually from Alice’s Adventures in Wonderland] (650)….I am what God has made me, and must deal with the Times in which he has placed me (77)….And his place will know him no more (656). Many chapters, quotes, and passages address the two things which SHOULD be constant but aren’t in this series– in this series, death and time are both relative. Time does not really exist in these books and death–well how can death be ‘final’ when time is not relevant? It’s very disorientating. It’s all relative—death and time—but the concept of feeling like an outsider is not. Clearly all of the characters in this series struggle with feelings of finding ‘home’ or ‘peace’ and many of the characters ask for death in hope they will find both though of course we don’t really know if that is the case….I think is important to remember this alienation. This is why I love the quote ‘home is where, when you have to go there they have to take you in’….Gabaldon makes it clear that home is not really anywhere but where your heart is…it’s not an address, a time, country, a physical place—home is anywhere—it can be death, family, a person, a spouse, country, or a physical address–it is everything and nothing. We see a great example of both the feelings of alienation in how it relates to peace, home, and death at the funeral of Simon Fraser….his wish was to be left on the battlefield and buried in country that was not his own (the USA). Though his comrades thought it would be best for him to be buried in his ‘home’, Scotland. Claire reflects on the funeral procession and how Simon who should have found comfort in death has now been moved to a place that is no longer home to him…..
[In] the end of it this strange procession bringing Simon Fraser to a home no longer his and a wife who was a stranger to him…and his place shall know him no more (656). I suppose the reason I find this series so captivating is Gabaldon’s ability to reach into the mystical side of the human soul….the part that always wonders about their choices, life, future, past….time. By taking away the time piece as Gabaldon does through the use of time travel….it opens the doors to all these questions we all want to know, without time anything is possible. But with that knowledge comes alienation and displacement which I think all of the characters are effected by especially now they all know that Claire is a time traveler. I think she will feel more of a ‘Sassenach’ now than in the earlier books. She already feels rejected by Jenny for not being able to save Old Ian….and she more or less hides in the house at Lallybroch, a place where she once felt comforted and at home. It will be interesting to see how Claire and Jenny’s relationship will change now that Jenny has come with Jamie. I am eagerly waiting for the next book….I don’t know if I can stand the NOT KNOWING but I suppose all I have is time to kill and books to finish before the next epic installment is out for publication…COUNTDOWN! Rob Cameron “a creepy git of the first order” — yes, indeed, and I hope that Bree will dispose of him very quickly in Book 8. I’ve made to starting book 7!